In theory, this week's theme is Thanksgiving, but F&B were starving, so this week's theme for us is actually "foods that Mommy can quickly throw in a tin so people stop whining at her". FYI, it worked. 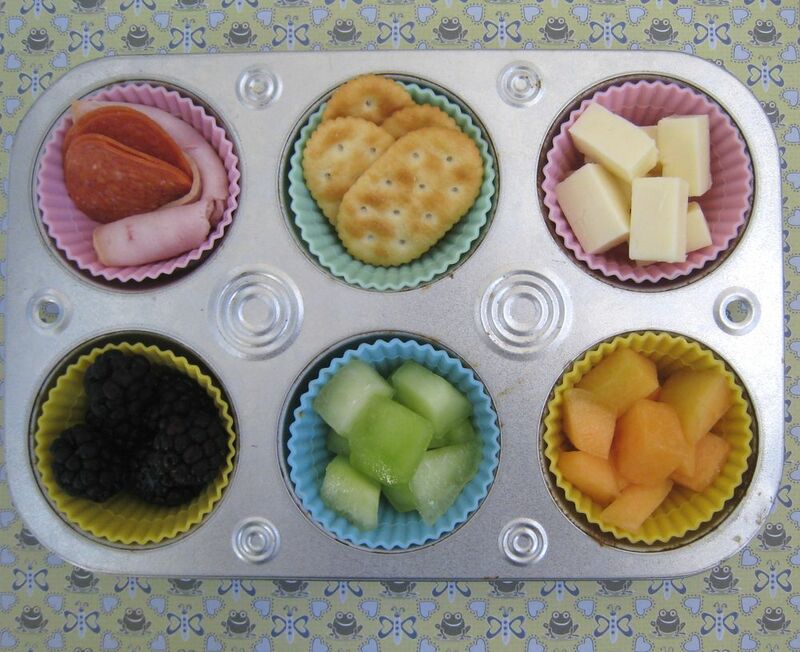 Ben had turkey & pepperoni, crackers, and monterey jack cheese in the top row, blackberries, honeydew and cantaloupe in the bottom row. Faith had the same but switch out the blackberries for grapes. An excellent theme for the week of Thanksgiving :D Our food didn't even make it in to a tin this week! Love it! Sounds like many of us have those kinds of days! I have Stop The Whining Lunches at my house too. They are just turkey and chesse on bread.